With the look of a handsome, traditional wing chair and a handy, push-back reclining function, this accent chair can appeal to all members of your household. You'll love the classic, wing back silhouette dressed up with rolled arms and stoutly turned wood legs. The less fashion-conscious in your home will appreciate the consistent seat support offered by a multi-layer seat cushion and the easy-to-use, pushback reclining mechanism. The Recliners - Pushback Traditional Patrick Powerized Recliner with Turned Wood Legs by Best Home Furnishings at Miskelly Furniture in the Jackson, Pearl, Madison, Ridgeland, Flowood Mississippi area. Product availability may vary. Contact us for the most current availability on this product. The Recliners - Pushback collection is a great option if you are looking for Traditional furniture in the Jackson, Pearl, Madison, Ridgeland, Flowood Mississippi area. 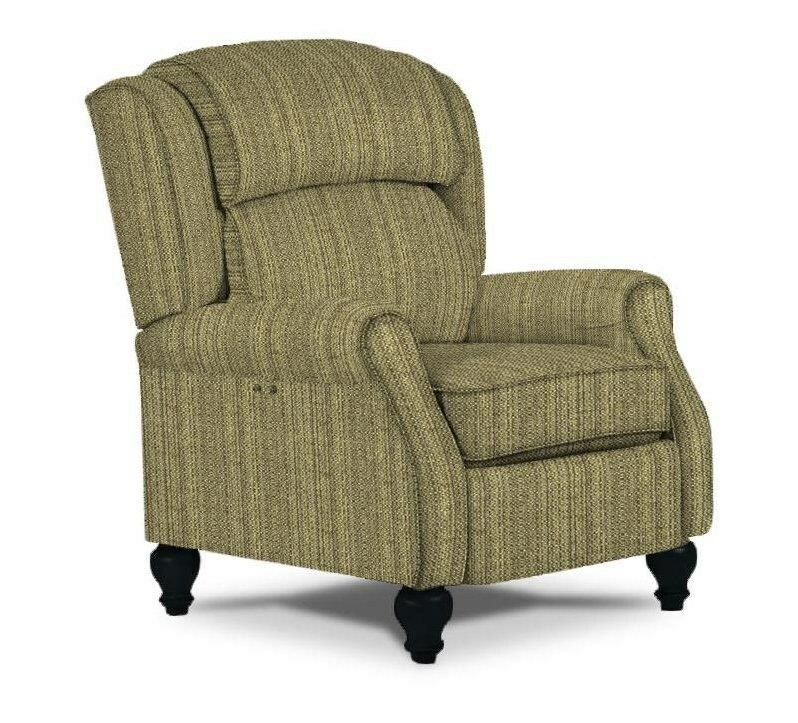 Browse other items in the Recliners - Pushback collection from Miskelly Furniture in the Jackson, Pearl, Madison, Ridgeland, Flowood Mississippi area.